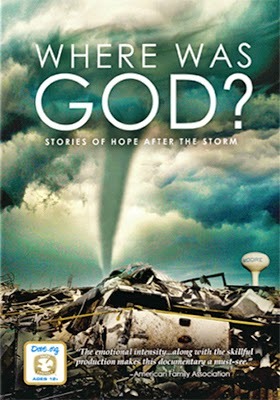 VCI Entertainment Announces That June 02 Will Be The DVD Debut Date For Documentary Filmmaker Travis Palmer's Where Was God? 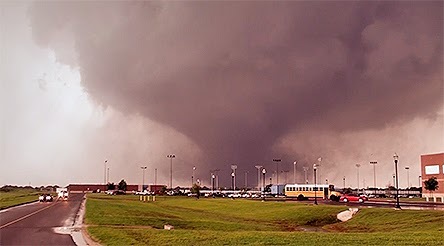 Last summer Warner Bros. released director Steven Quale’s Into the Storm, which was loosely based on the EF-5 (Enhanced Fujita Scale) tornado that devastated Moore, Oklahoma on May 20, 2013. The film, with largely a no-name cast, was a surprise at the box office as it delivered the non-stop visceral thrill of being caught in the path of one of the most powerful tornadoes ever recorded. News arrived this week from VCI Entertainment that the real-deal will be heading to DVD on June 2. That’s the street date for documentary filmmaker Travis Palmer’s Dove Foundation Approved Where was God?, a detailed examination of the events of that day — and the aftermath — as lived by, and told by those were there when the twister hit their town with an impact that has been measured as having eight-times the power of the atomic bomb that destroyed Hiroshima at the close of World War II. 24 people died, over 350 were injured, countless farm animals were swept away, including at least 100 horses at boarding and training facilities in the area and everything in its path was obliterated (over 1,100 homes destroyed). The tornado touched down around three in the afternoon and it would remain on the ground for nearly forty minutes — a track of devastation measured 17 miles long when the “event” finally ended. It was an unthinkable — an unimaginable — experience, even for those residents of Moore, Oklahoma (and the surrounding small communities) who had experienced their share of tornadoes in the past. The stories that Palmer has recorded hit close to home … and yet, in spite of it all, they are uplifting. As a word of warning (advice), have the Kleenex handy … this is one emotional and heartfelt ride. There were heroes that day, people of faith, who were willing to sacrifice it all to help others, including the teachers at two elementary schools that took direct hits — their courage and quick-thinking saved every child! Bonus features on the DVD release of Where was God? include video sessions with the director, producer and members of the crew, plus a making-of featurette. Labels: DVD and Blu-ray Release Report, VCI Entertainment Announces That June 02 Will Be The DVD Debut Date For Documentary Filmmaker Travis Palmer's Where Was God? Mill Creek Entertainment will be releasing 40 films on Apr. 21 at the eye-popping price of just $1.50 each!!! And that’s before possible retail discounts. Here’s the deal … there are four ten-film SKUs (three discs) that are themed for “instant library” building and the SRP (again, before any retail discounts) for each set is just $14.98. You don’t have to be a math wizard to figure that it works out to about a buck-and-a-half for each movie. 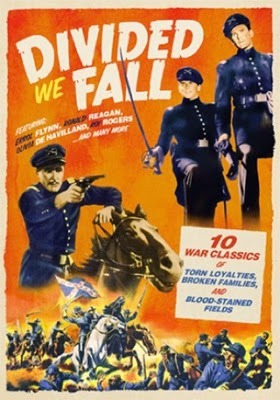 The first is titled Divided We Fall: 10 War Classics and counts among its ten films the likes of Abraham Lincoln (1930, director by D. W. Griffith and starring Walter Huston as Lincoln), Drums in the Deep South (1951, directed by William Cameron Menzies and starring Guy Madison, James Craig and Barbara Payton) and Santa Fe Trail (directed by Michael Curtiz and teaming Errol Flynn and Olivia de Havilland, with Raymond Massey and Ronald Reagan). 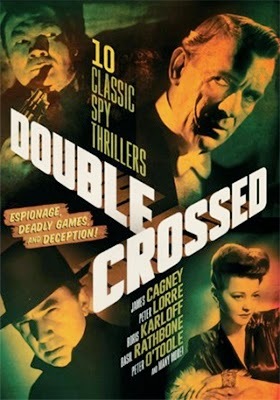 The ten-film collection titled Double Crossed: 10 Classic Spy Thrillers contains Mr. Moto's Last Warning (1939, with Peter Lorre as the famed detective), The Limping Man (1953, starring Lloyd Bridges) and Blood on the Sun (1945, directed by Frank Lloyd and starring James Cagney and Sylvia Sidney). 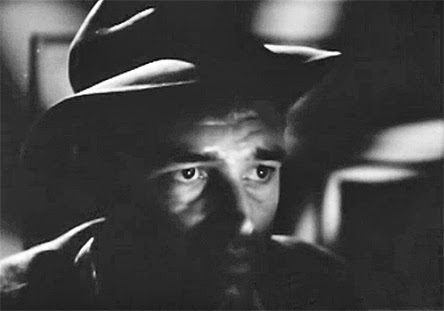 In the Shadows: 10 Classic Crime Dramas features Suddenly (1954, starring Frank Sinatra and Sterling Hayden), Detour (1945, directed by Edgar G. Ulmer and teaming Tom Neal with Ann Savage) and Scarlet Street (Fritz Lang’s 1945 film noir starring Edward G. Robinson, Dan Duryea and Joan Bennett). Lastly, To Victory: 10 Classic WWII Films has among its ten films Convoy (1940, with John Clements), The Steel Claw (1961, directed and starring George Montgomery) and Hell in Normandy (1968, starring Guy Madison). For more information on each of these priced-to-own collections arriving on Apr. 21 please visit Mill Creek Entertainment’s website at http://www.millcreekent.com. John Wayne will be getting the hi-def treatment on June 2 courtesy of Warner Bros. Home Entertainment with the Blu-ray debut of a trio of his classic Westerns. 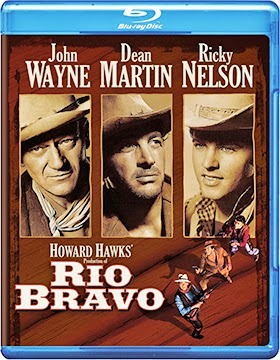 Available for the first time in this format will be director Howard Hawks’ 1959 film release Rio Bravo, which teamed John Wayne with an all-star cast that includes Dean Martin, Angie Dickinson, Ricky Nelson, Ward Bond and Walter Brennan as Stumpy. The Train Robbers, released in 1973, was written and directed by Burt Kennedy and teamed John Wayne with Ann-Margret, the late Rod Taylor, Ben Johnson, Bobby Vinton and Christopher George. And lastly we have director Andrew V. McLaglen’s 1973 film release of Cahill: U.S. Marshall, which saw John Wayne in conflict with his young sons (played by Gary Grimes and Clay O’Brien), with outlaw Abe Fraser (George Kennedy) exploiting this riff to his deadly advantage. These three John Wayne Westerns will be available as individual SKUs (the SRP is set at $14.98 each) or as part of a five-film Blu-ray collection titled John Wayne Westerns Film Collection — the SRP is $54.98 and the other two films included in the mix are Fort Apache and The Searchers (that works out to just ten dollars for these two previously released John Wayne Westerns). Lastly, June 2 is also the street date for both DVD (three-discs) and Blu-ray (two-discs) sets of Falling Skies: The Complete Fourth Season. Bonus features include cast interviews and a Comic Con panel video session. Paramount Home Media announced this past week that Poppy Montgomery and Dylan Walsh will return on May 12 as NYPD detectives Carrie Wells and Al Burns in the four-disc, 13-episode collection of Unforgettable: The Third Season. Bonus features include the featurette titled “Unforgettable Moments: Inside Season 3,” a gag reel and deleted scenes. Also on the TV-on-DVD front for delivery on May 12 are three complete-series collections: Rawhide: The Complete Series (a massive 59-disc set), Walker Texas Ranger: The Complete Series (a 52-disc collection) and Wild Wild West: The Complete Series (26 disc). The following week, May 19, Paramount Home Media returns with a six-disc set of Beauty and the Beast: The Second Season (the 2012 reboot featuring Kristin Kreuk as the Beauty and Jay Ryan as the Beast) and a pair of action-filled TV reality show compilations — Bar Rescue: Toughest Rescues and COPS: Wildest Chases (you know those news-stopping freeway chases that everyone hates, but you can’t stop watching). Lastly, Nickelodeon’s Team Umizoomi — Milli and Geo, along with their robot friend, Bot — return on May 19 with a DVD collection titled Team Umizoomi: Meet Shark Car. Legendary Thai fight choreography and filmmaker in his own right, Panna Rittikrai, is back after a nearly four-year absence with one of his best action thrillers yet. 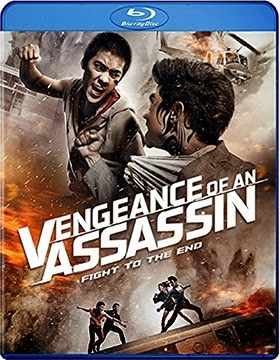 This would be Vengeance of an Assassin, which is sadly his last film (he passed away far too young this past July … prior to the theatrical release of the film in Thailand). Word arrived this past week that Well Go U.S.A will be delivering Rittikrai’s Vengeance of an Assassin to the domestic market as both DVD and Blu-ray product offerings on Apr. 14. Betrayal, a feud between brothers that must be settled, a beautiful woman and non-stop action mark this pedal-to-the-metal thriller. If you know Thai cinema and the name Panna Rittikrai, then Vengeance of an Assassin will be a must come mid-April. 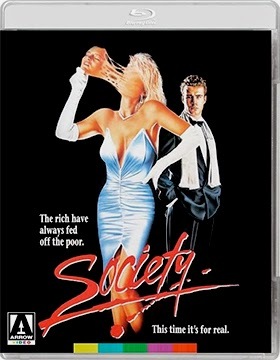 Arrow Video, with sales and distribution expertise provided by the MVD Entertainment Group, has selected May 19 for the release of a Blu-ray/DVD Combo Pack edition of director Brian Yuzna’s 1989 creep-out horror flick, Society. This deliciously delivered cynical attack on the “privileges” of the rich revolves around Beverly Hills high school senior Bill Whitney (as Eddie on Baywatch), who pretty much has it all — he lives in a mansion, has a cheerleader for a girlfriend and is likely to head off to some choice Ivy League college. Except for one little thing, it just might all be a façade and he’s beginning to suspect that nothing in his perfect little life is as it seems. Oh boy, is he right!!! The climax to Society, when Bill discovers his family’s little secret, is worth the price of admission all on its own!!! Bonus goodies provided by Arrow Video include commentary from director Brian Yuzna (Bride of Re-Animator, Beneath Still Waters), a trio of production featurettes and a “Screaming Mad George” music video. Olive Films follows-up last week’s announcement of five new Blu-ray film release with five more this week … and all five are making their Blu-ray debuts. The street date for this next round is Apr. 28 and it is only a matter of taste in film viewing as to which one will be at the top of your list (Blu-ray and DVD SKUs will be available for all five film releases). 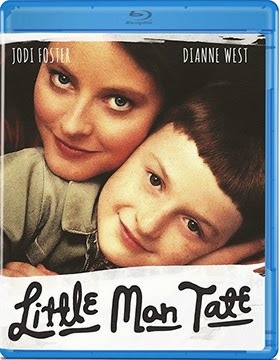 So in no particular order let us begin the parade of hits with Jodie Foster as both director and star of the 1991 single mom tale, Little Man Tate. Foster plays a blue collar mom who discovers that her seven-year-old son, Fred (Adam Hann-Byrd — The Ice Storm, Jumanji, etc.) is a genius, which is almost overwhelming for her … and a struggle for him as well as he has to come to grips with the fact that he is “different” than the others kids his age. 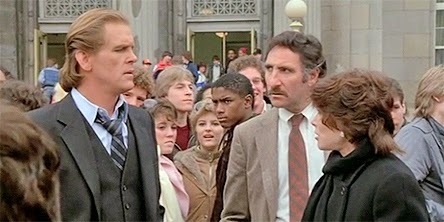 Also on the family side of the ledger — and also starring and directed by a major Hollywood star — is Paul Newman’s 1984 film, Harry and Son, co-starring Robby Benson (as his son) and featuring an all-star cast that includes Morgan Freeman, Wilford Brimley, Ellen Barkin, Judith Ivey and Joanne Woodward. Next up is director Arthur Hiller’s 1984 dramedy, Teachers, starring Nick Nolte as a burned-out high school teacher who begins to see the light at the end of the tunnel when he takes up with a former student of his (played by JoBeth Williams) and at the same time finds an additional spark in mentoring a troubled student (played by Ralph Macchio). Others in the cast include Morgan Freeman, Laura Dern, Lee Grant and Crispin Glover. Rounding out the Apr. 28 new-to-Blu-ray selections are Hollywood Shuffle (1987, starring, written, produced and directed by Robert Townsend) and director Harry Hook’s 1990 remake of the William Golding novel, Lord of the Flies. When the anchor actor to a franchise film series goes public disavowing his own on-screen macho persona, the studio is pretty much left holding the bag. Their investment goes south. 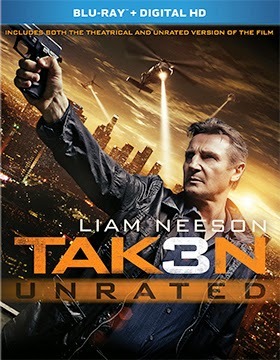 So you can expect director Olivier Megaton’s Taken 3, starring Liam Neeson as the very lethal Bryan Mills, to be the end of the line for this successful series. With a box office haul of $87.6 million, 20th Century-Fox Home Entertainment has picked Apr. 21 for DVD and Blu-ray editions of Taken 3, which yields an ARR of 144 days, which is well-away from Neeson’s ill-conceived comments — he read the script and collected a paycheck, so what’s up with the hypocrisy? As to bonus features, the Blu-ray SKU comes with two viewing options, the theatrical “PG-13” version and an unrated edition (presumably restoring the trims that would have earned an R-rating), plus a deleted scene and a trio of featurettes. 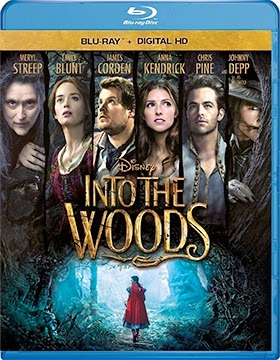 Walt Disney Studios Home Entertainment was quick to kick director Rob Marshall’s Into the Woods to the curb following its Oscar no-show at the recent Academy Awards telecast. For reasons that are unclear a Blu-ray and DVD release date was not tagged nearer to the hype of the broadcast, instead the film gets a Mar. 24 release date. The ARR is still a zippy-quick 88 days and the box office haul was a respectable $126.7 million. Bonus features include commentary from Rob Marshall, featurettes and a deleted song. Despite eight Oscar nominations, director Morten Tyldum’s film adaptation of Andrew Hodges’ 1983 historical biography, “Alan Turing: The Enigma” — which was re-titled for the screen as The Imitation Game — came away with only the Oscar for writing adaptation. 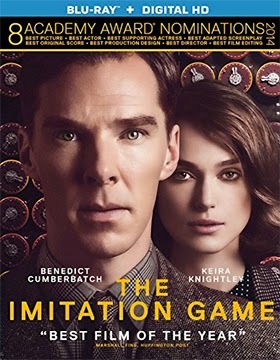 Best Picture, Best Director and Oscar nominations for acting to Benedict Cumberbatch (Best Actor) and Keira Knightley (Best Supporting Actress) were on the table, but those nominations were largely ignored by the voters. As a result, Anchor Bay Entertainment has finally picked a street date for both DVD and Blu-ray product offerings, which should have been nearer the award’s broadcast, but will instead be on Mar. 31. The ARR is 123 days ticket sales were a solid $83.9 million. Bonus features include “special commentary” — whatever the hell that is (can someone with a modicum of competency write an intelligent press release, please) — deleted scenes and a making-of featurette.